Manufacturer of customized industrial trucks, multidirectional side loaders and special equipment for handling difficult and bulky goods. We supply the most comprehensive range of products for lifting technology in the world. We build machines and plants with technique, that accurately and efficiently supports production processes and optimizes material handling. We build and develop highly reliable and safe industrial pneumatic manipulators. 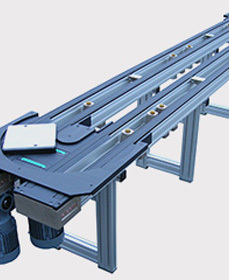 LISSMAC offers the complete range of manually guided manipulators up to intelligent handling systems. We are one of the few manufacturers that are able to offer a full range of hoists suitable for every application. A leading global supplier of automated guided vehicle systems (AGVS), material flow systems, internal logistics. The Flexi articulated warehouse truck® accommodates 25-30% more pallets in a warehouse compared to a traditional reach truck.